Community Workdays provide an opportunity to work with the Sisters, Franciscan Apprentices and other volunteers on service projects at the Center. Community Workdays are generally held the second Saturday of the months of March through November. Projects include land maintenance, harvesting, canning produce, farm chores, and a variety of seasonal tasks. 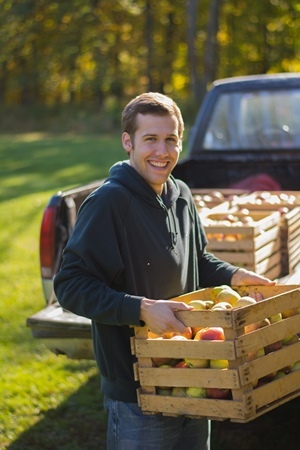 The program, inspired by Saint Francis of Assisi’s philosophy and practice, helps individuals accept each other as unique beings as they learn about life on a working farm. Working alongside the Franciscan Sisters, volunteers gain a deeper understanding of nature, of the Catholic faith and God’s place in their lives. If you or your group would like to know more about Community Workdays, please call 616-897-5220 or 616-897-7842 Monday through Friday from 9:30 a.m. to 5 p.m. EST to schedule or email registrar@lifeprocesscenter.org.